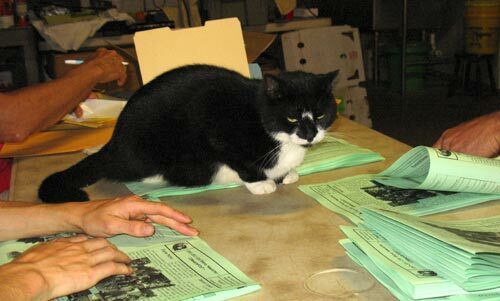 Merlot the barn cat likes to help fold newsletters hot off the press. I’ve passed your request on to Farmer Margie. Thanks for your interest.